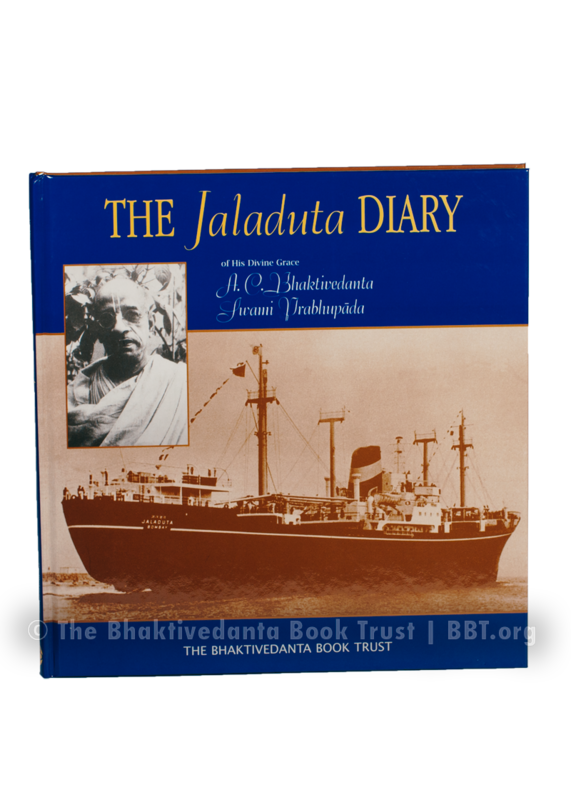 Hardbound, 103 pages, 8 color and 20 B&W plates, reproductions of many documents and letters, 9.75" x 10.25"
In the port of Calcutta on August 13, 1965, carrying only a small suitcase, an umbrella, and a bag of dry cereal, A. C. Bhaktivedanta Swami, as he was known at that time, climbed up the steep gangway onto a cargo ship named the Jaladuta. This voyage marked the beginning of one of the most far-reaching religious movements of our time. But that thirty-five day voyage almost resulted in tragedy. Find out about the crisis of body and spirit that could have changed history for the worse.